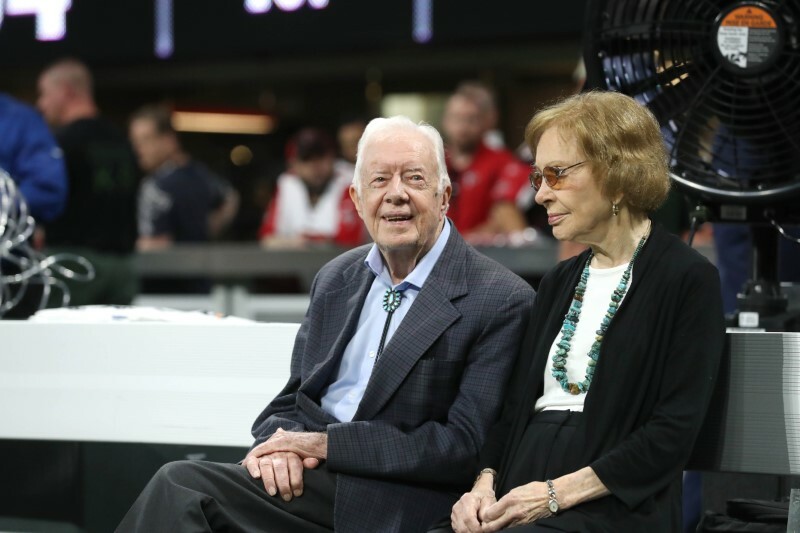 NEW YORK (Reuters) – Former U.S. President Jimmy Carter waded into the heated governor’s race in his home state of Georgia on Monday, asking the Republican candidate to step down from his role as the state’s top elections official. Carter said he was concerned that popular confidence in Georgia’s gubernatorial election would be threatened if the candidate, Brian Kemp, were to remain in his current role as secretary of state. Kemp’s rival, Democrat Stacey Abrams, could become the nation’s first black woman governor if she wins. Her campaign and voting rights activists have accused Kemp of trying to block lawful votes. The race has been the subject of a court battle. An official with the campaign for Kemp’s rival, Democrat Stacey Abrams, provided Reuters a copy of the letter, which was dated Oct. 22. Carter, a Democrat who served as Georgia’s governor from 1971 to 1975, cited “undeniable racial discrimination of the past” and “serious questions” about the security of the state’s voting machines among his concerns. The Kemp campaign and a Carter spokeswoman did not immediately respond to requests for comment. Earlier this month a coalition of state civil rights groups sued Kemp, accusing him of trying to depress minority turnout to improve his chances of winning. A federal judge in September declined to force the use of paper ballots in the state, but expressed concern that the electronic machines the state uses could be hacked.